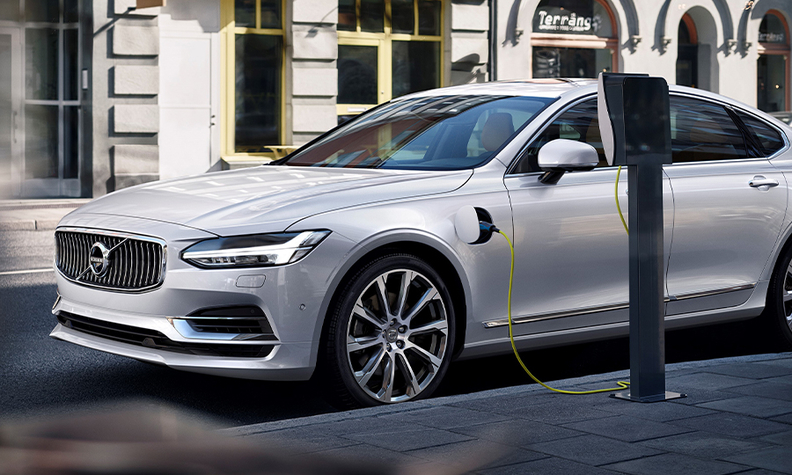 Volvo expects plug-in hybrid versions of models such as the S90 (shown) to soon account for up to 25 percent of global sales. Volvo expects a huge increase in sales of its plug-in hybrid vehicles by year-end after underestimating demand for its growing family of electrified models. “By the end of the year we should be up to 20 to 25 percent,” Volvo CEO Hakan Samuelsson said during a roundtable discussion with journalists this week. In the model lines where plug-in hybrids are currently available, this includes the XC90 and XC60 SUVs and the V90 and V60 station wagons, those variants account for about 10 percent to 15 percent of Volvo's global sales. Volvo didn’t have enough batteries, electric motors and the other key components needed to make its plug-in hybrids, Samuelsson said. Samuelsson said Volvo is currently “ramping up all the components” it needs to produce its plug-in hybrids -- as well as its recently added family of mild hybrid powertrains. “We are tripling the capacity from what we had about a year ago to where we will be at the end of this year,” he said. Volvo will introduce a range of mild hybrids this year, starting with diesel and gasoline versions on the XC90 and XC60. The mild hybrids, which will wear Volvo’s new B badge, will be equipped with Volvo’s brake-­by-­wire energy recovery system. Despite the supply bottleneck Volvo sold 26,800 plug-in hybrids in Europe last year, up from 16,000 in 2017, according to figures from market analyst JATO Dynamics. By 2021 Volvo expects that a quarter of the vehicles it produces worldwide will be plug-in hybrids. The other model lines that offer the powertrain are the S90 and S60 sedans.